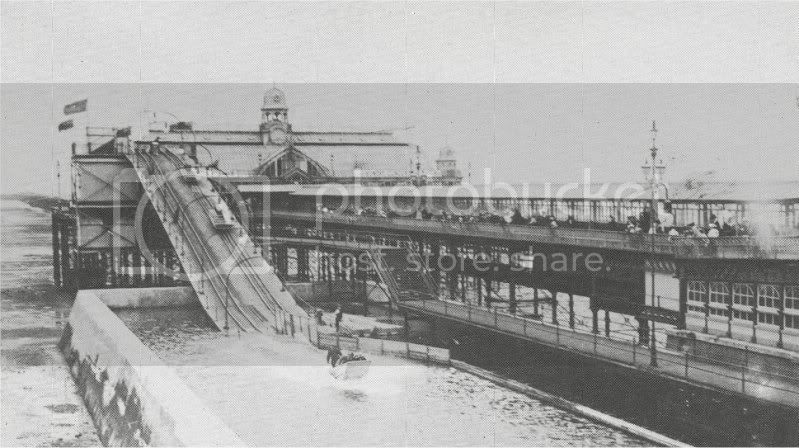 In 1902 a water chute was built alongside the Eastern side of the pier pavilion, riders would leave the launch platform located on top of the pier pavilion and dive into a specially built sea water basin, the water was changed with every high tide. 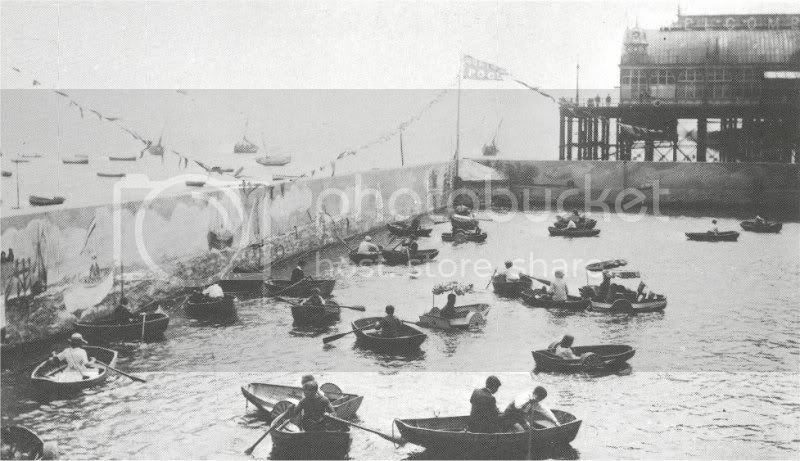 However the venture only last for a few years before it was removed the basin then became a boating pool for a short time before it was left as a sea water pool. The start of the Second World War saw Southend seafront become a no-go area for civilians. When peace returned a major refurbishment of the pier was undertaken new trains were also ordered, the old pool along side was also given a new lease of life. 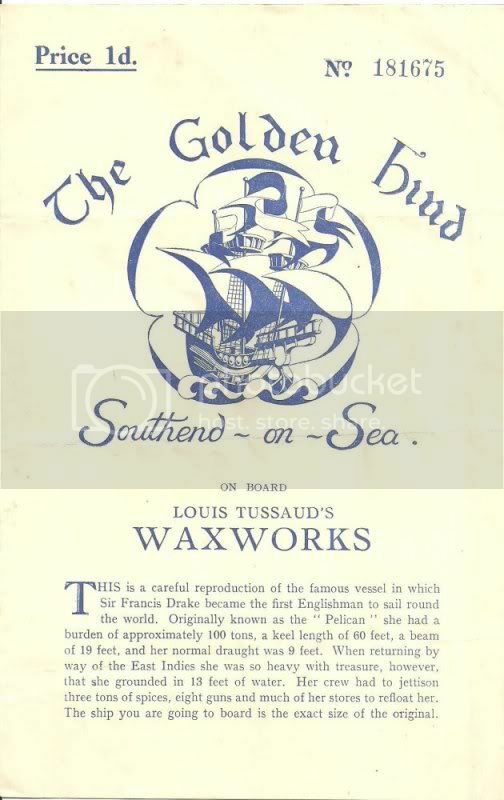 A Southend based company were contracted to build a new attraction, a stipulation of the contract stated that all employees working on the new attraction must be unemployed Southend seamen. Construction started in 1947 and continued through to 1948 with work being completed before the start of the 1949 season. The new attraction was a full size replica of the Golden Hind sailing ship used by Sir Frances Drake to sail round the world. The replica housed a waxworks exhibition, the attraction proved popular but by 1992 visiter number had dropped and the wooden structure was begining to deteriorate and was in need of renonvation, this brought the whole future of the landmark into question, a proposal to demolish the ship and replace it with a "Waikiki Wave" white knuckle thrill ride were proposed but nother ever became of the plans and they quitely washed away. 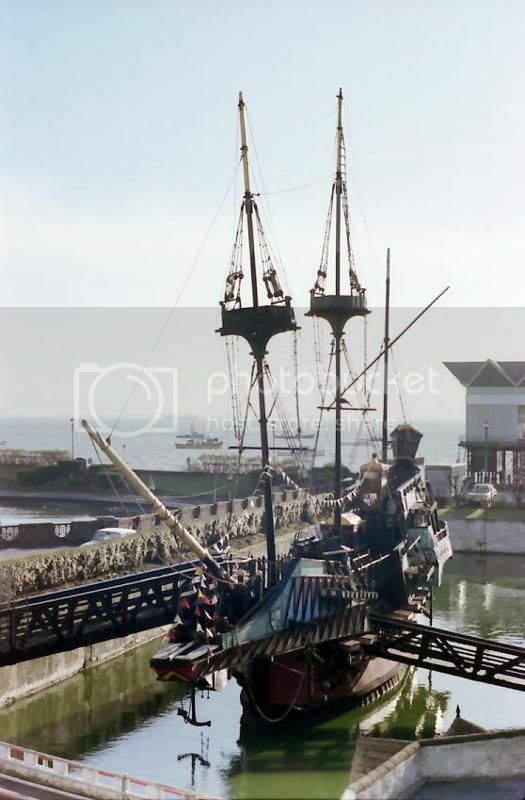 However the writing was on the wall for the Golden Hind and in 1997 it was closed to the public. 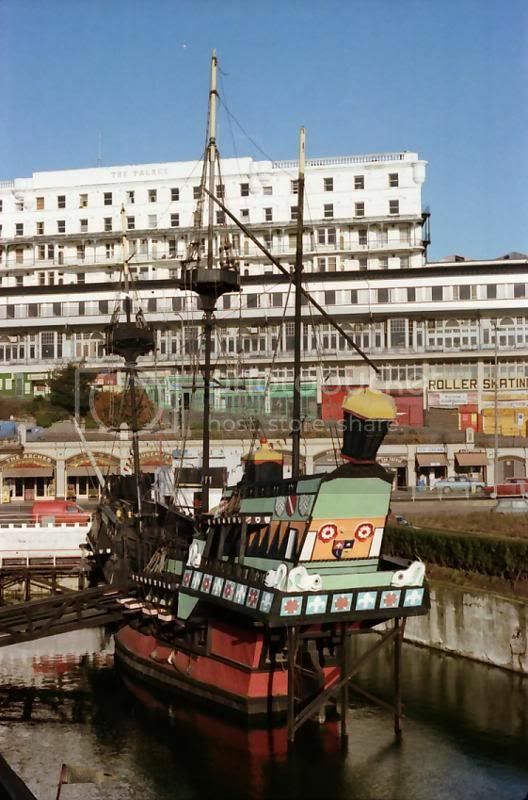 The ship was then bought by the operators of Peter Pans Adventure Island. The Golden Hind had seen falling attendance figures and ever increasing maintenance costs in keeping the aging wooden ship open, after structural survey it was found the ship needed a major rebuilding program to get it re-open to the public, the cost of restoration was too high so the ship was scrapped. 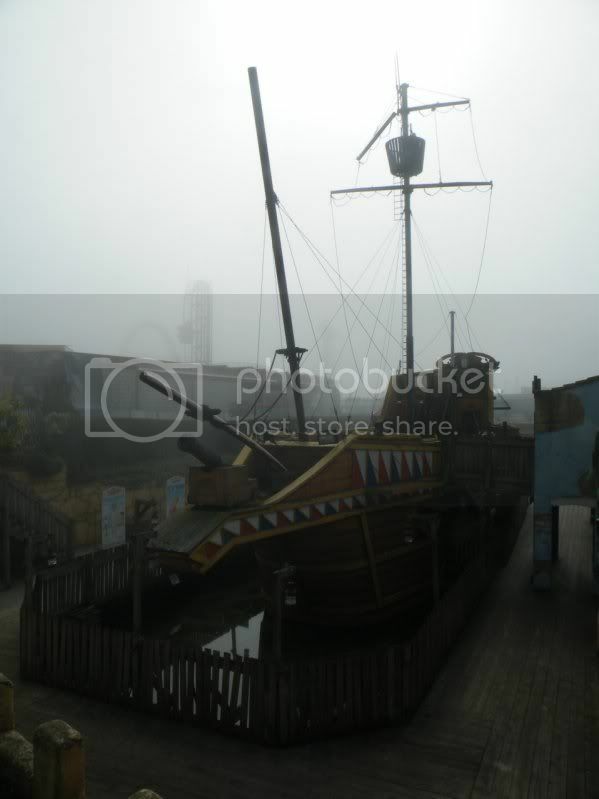 A replacement ship was built, the “Queen Anne’s Revenge” is a replica of the ship used by the notorious English pirate Blackbeard, it forms the centre piece of the Blackbeard Revenge attraction. It was an end of an era on Tuesday 8th January 2013 as replica pirate ship the Queen Anne's Revenge was demolished, this brought to an end the era of a "tall ship" being based on Southend Seafront.